Now that was an episode! This week offers, basically, a candid look into the ‘big plan’ from a few different perspectives. 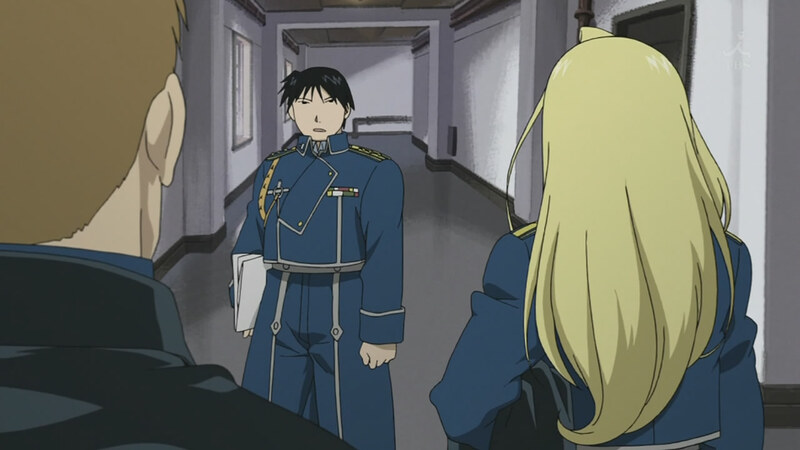 It begins with Major Olivier Armstrong and her blunt attempt at getting in on it any way she can; even she knows she cannot cover up the death of Lt. Raven at Fort Briggs, certain that suspicions are high in the wake of his disappearance. King Bradley warmly accepts her offer to take Raven’s place, secretly sacrificing herself for her men and for the greater good, but it is more of a gag to him than anything else. Meanwhile, although Hawkeye and Mustang are no longer working together, they are using their learned tactics to consort and share sensitive information during a stealthy lunch scene. Mustang discovers what we’ve been aware of for some time and thus, the fun begins. Anyone who has watched the first series will know that we did not have the pleasure of learning about Hoenheim’s past. 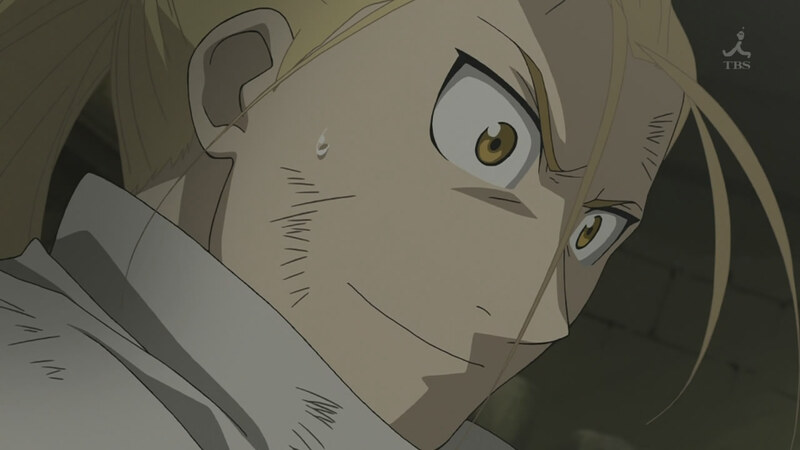 We knew there was something special about him, something that ties in with the Homunculus, but there was little explanation as to how he became that way. 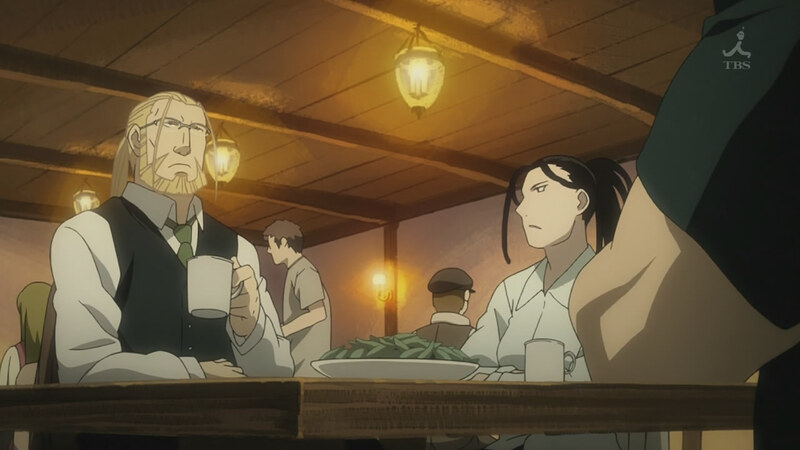 Fortunately, this episode and the rest of the series will delve deeper into how he connects with the story instead of just being Ed and Al’s father. One thing I just adored seeing was how much of a spitting image Ed is of his father when he was young (aside from their height). Even their personalities and temperaments mirrored one another. Hoenheim’s story is damn sad, but a good one. What I love most about it is that his character contributes so much more meaning and value; the comprehensiveness of his background gives the plot a healthy amount of substance whereas we did not get that with the first series. Anyone who is not reading the manga can now enjoy it as much as those who are! The bottom line is this episode was well worth the wait.